Working as a OT and AT at a Google School requires searching for supports for struggling readers and writers in Google Chrome. Like other apps and software, change is frequent and exploring what those changes may mean for special needs students is a constant process. Pro Writing Aid (14 day trial/ 1 year 35.) available for Google Docs or Microsoft Word. Provides spelling, grammar, word overuse, plagiarism, style, consistency of word use in a document. TextHelp Study Tool app (currently free) provides the highlighting tools (yellow, blue, cyan, green) and the ability to collect highlighted text by position or color and create a new document. 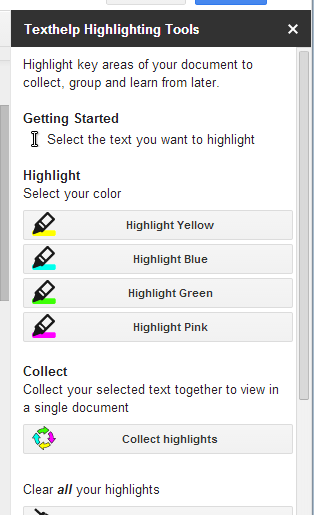 Highlighting tool opens to the right of the doc for easy access. Thesaurus app – (free) provides a synonym tool for words selected in a document. 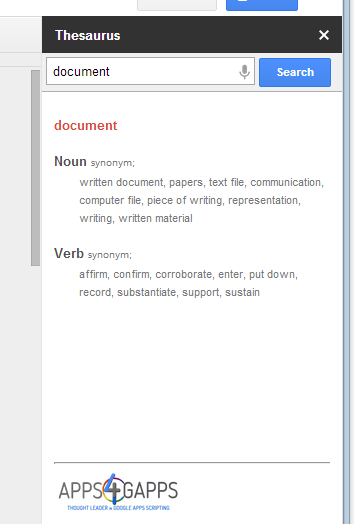 Thesaurus tool opens to right of the doc for easy access while writing. 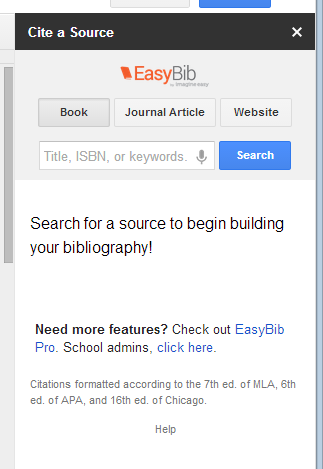 EasyBib – (free for basic version) provides reference tools from within the doc with several choices of styles to choose from . There are certainly more Add-ons apps available such as concept mapping tools (Lucid, Mind Meister) , audio note add-ons (Kaizena), other comments apps (Track Changes) and utility apps. 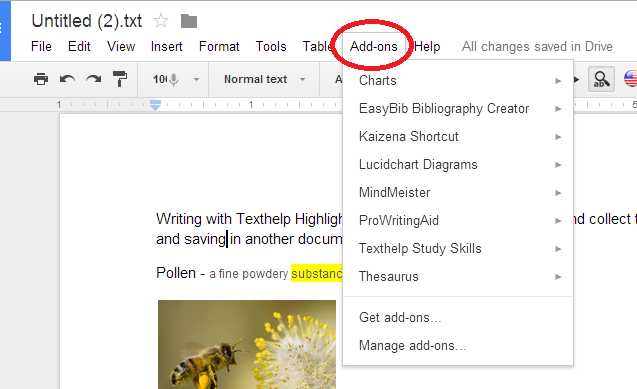 Available Add-on apps are conveniently available for use, exploration and management from the Add-ons menu tool in Google Docs. 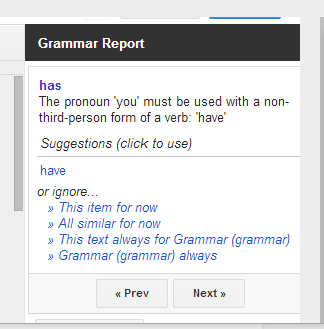 One draw back I found is most of the add-on tools such as the Thesaurus results or grammar checking results can not be accessed using the text to speech tools I am using (AppWriter or TextHelp) with Google Doc, unlike Google’s Define and Research tools that can be easily read aloud using AppWriter or TextHelp. What Google Add-ons have you found helpful for struggling writers? More for your Google AT Tool Kit! This entry was posted in Adults with LD, Apps for OT's, Apps for Special Needs, Elementary School, Free apps, Google, Google Chrome, Google Docs, Graphic Organizer, Language Arts, Learning Disability, Post secondary, Productivity apps, Writing. Bookmark the permalink. Hi Carol.. I am reading your info on the Google tools available (I.e. Appwriter). Are they available on iPad? If so…I’m not finding it. Better yet I can offer you a code I have a few extra that Ling Apps generous provided for my recent workshop. I will send it to you via your email.